Solid forged and hardened chisel with strong flexible hand guard. 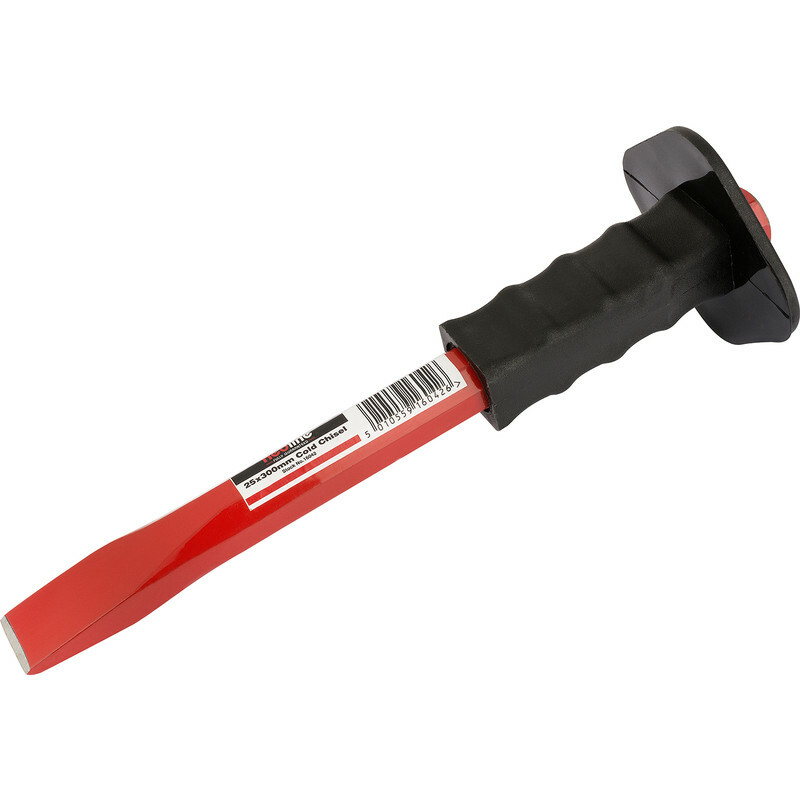 Chisel with Guard Cold 300mm is rated 5.0 out of 5 by 5. Rated 5 out of 5 by jamiealpine from Wellmade quality Chisel Good quality chisel able to get into masonry & chip away.Ergonomic grip & reassuring guard. Rated 5 out of 5 by Blueband from Yes it is a chisel Never had a hand guard on one before never needed one but I do now every time I miss I thank this tool, good quality I think same as my old one but with the guard. Yes I do recommend this tool for raking out to re-point brickwork.